SRTP also known as Secure Real – Time Transport Protocol, is an extension profile of RTP (Real-Time Transport Protocol) which adds further security features, such as message authentication, confidentiality and replay protection mostly intended for VoIP communications. SRTP uses authentication and encryption in order to minimize the risks of attacks such as denial of service. It was published in 2004 by IETF (Internet Engineering Task Force) as RFC 3711. 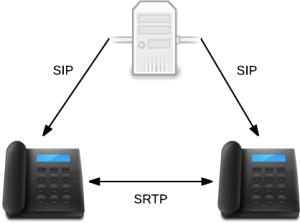 SRTP, just like DTLSis one of the security protocols used for the WebRTC technology.